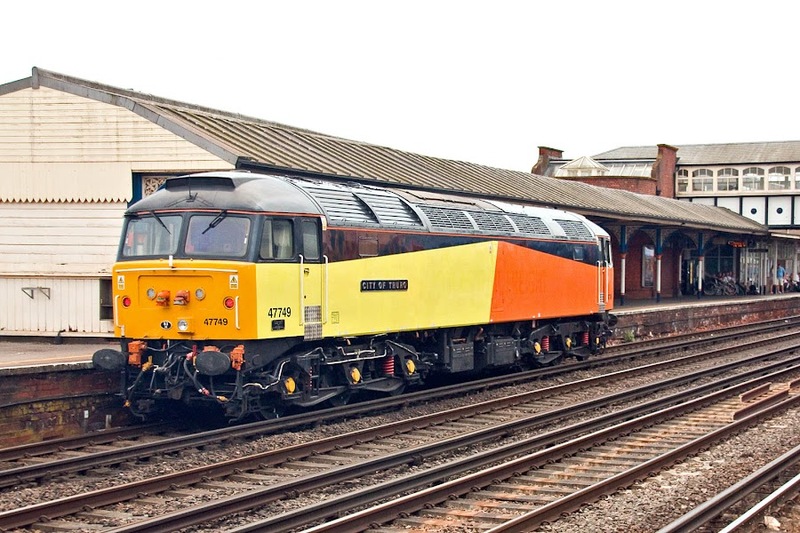 The plan was for 47749 CITY OF TRURO to work from Leicester to Eastleigh to pair up in some way with 47727 Edinburgh Castle / Caisteal Dhùn Èideann for the early hours ECS to Crewe, for a GBRf staff special. 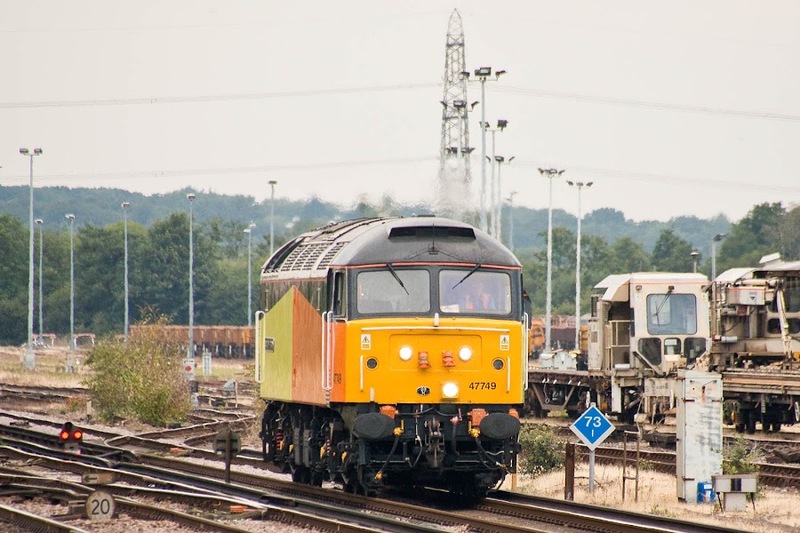 However 47749 had issues at Eastleigh, now understood to be resolved, and 47727 proceeded north on its own. The return on Sunday 5th is an excursion as far as Basingstoke, which was advertised for two Class 47, and a path has been created "0Z51 1323 Eastleigh Arlington (Zg) to Coventry Yard". 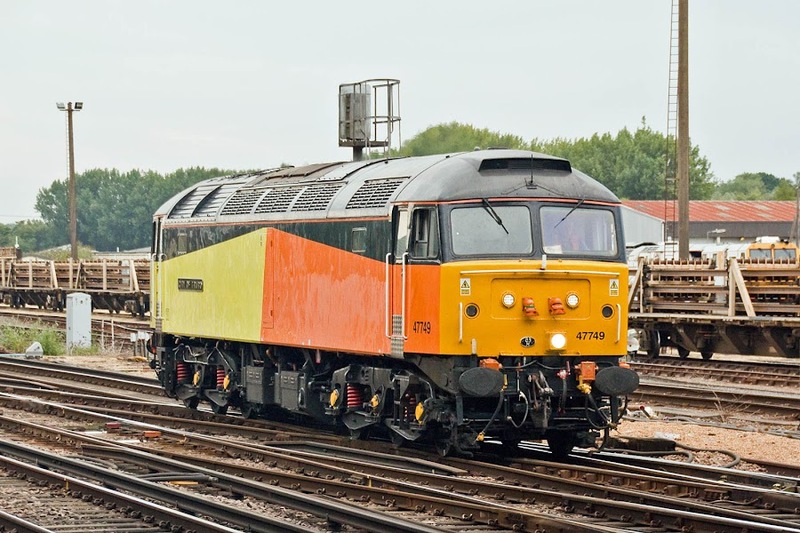 Eventually the ECS will be "2100 Basingstoke to Eastleigh Arlington (Zg)"
UPDATE Sunday 5th: No fit Class 47s for today - 47727 had to be pushed on the ECS this morning. 50007 + 50049 to run through to Basingstoke & then ECS to Eastleigh (seen earlier at Droitwich). 47749 is judged not able enough to handle the train and dead 47727. 47749 approaches Eastleigh as a light engine from Leicester - upgraded brighter headlight. New as D1660 in February 1965. It was running a few minutes early at this point. 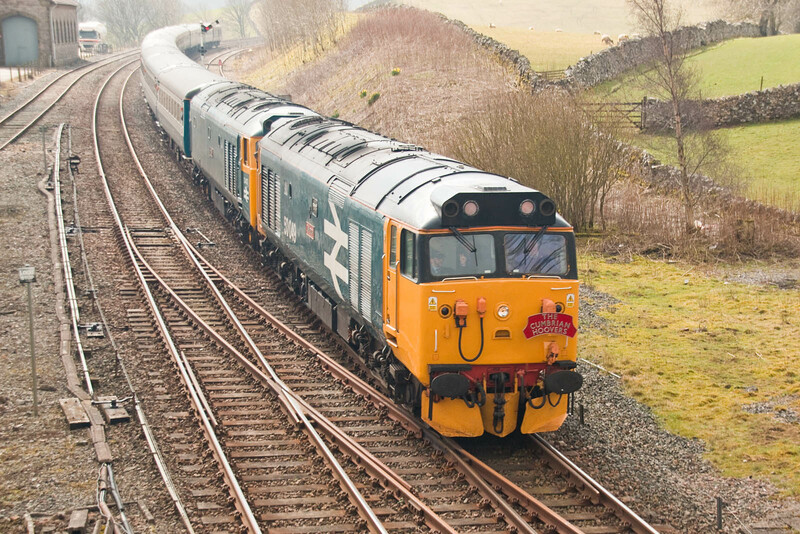 A GBRf / Caledonian Sleeper repaint may be anticipated before too long? Running through the station. The current CITY OF TRURO nameplates were re- applied ahead of the Bristol St. Phillips Marsh event on 30th April 2016, having originally been named at Truro on 8th June 1965. 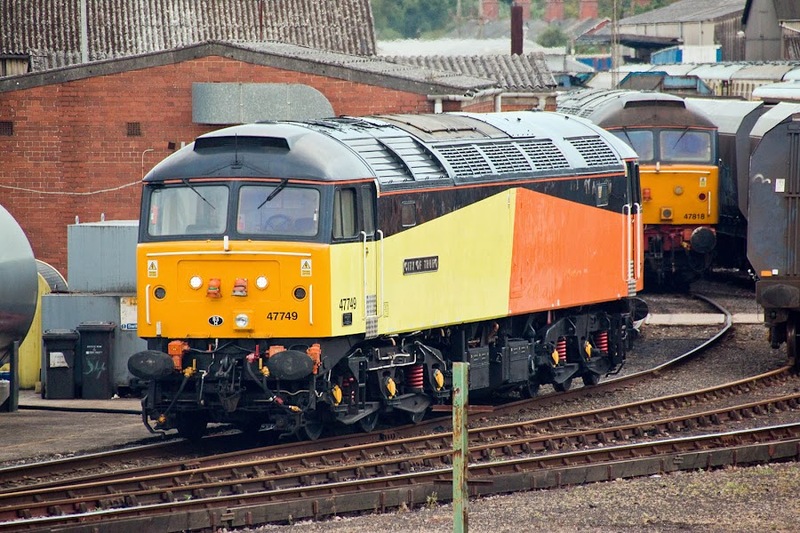 47727 was prepared on the tour stock at Eastleigh Works. 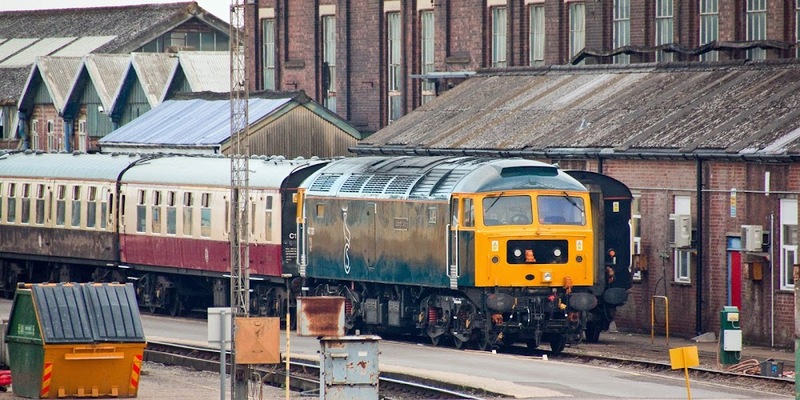 47749 at Eastleigh Works, with 47818 beyond.